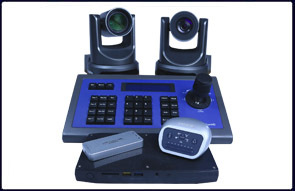 The PTZOptics IP Joystick Controller with Metal Housing provides easy control of any PTZOptics camera. 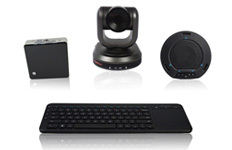 This joystick is designed to find and control your cameras over your network. Using the web interface for finding and adding cameras is the easiest way to go about setting up your IP Super Controller. Connect a network cable (not included) from an active network port to the network jack on the back of your joystick controller. Allow up to 45 seconds for the controller to start up. Connect power and an active network connection to your PTZ Optics camera. You should now be seeing a live feed from your camera on the web interface. If you go to the “Network” tab you should see a list of network options available to you. You would want to scroll down to “ONVIF Setting” and turn ONVIF to “On”. Your PTZ Optics Camera should be able to be found by your IP Super Controller now. Max. Communication distance: 1200M (0.5MM twisted pairs).